It's that time again: Grab a bib and a beer and chow down on a hot and steamy plate of crawfish! The Baytown staple was a clear crowd favorite in VisitHouston’s 2018 poll. Their secret to success? Their very own seasoning, which gives the crawfish a juicy, never dry taste. Add corn, mushrooms, cajun sausage or potatoes for an additional price. Calhoun's Crawfish Co. is open Friday & Saturday from 11:00 a.m. - 9:00 p.m. On Sundays the restaurant opens at noon and closes when the crawfish are gone! Many votes were cast for this favorite by locals who loved the authentic Cajun taste. Their original location is in Crosby and there’s also one in Magnolia. 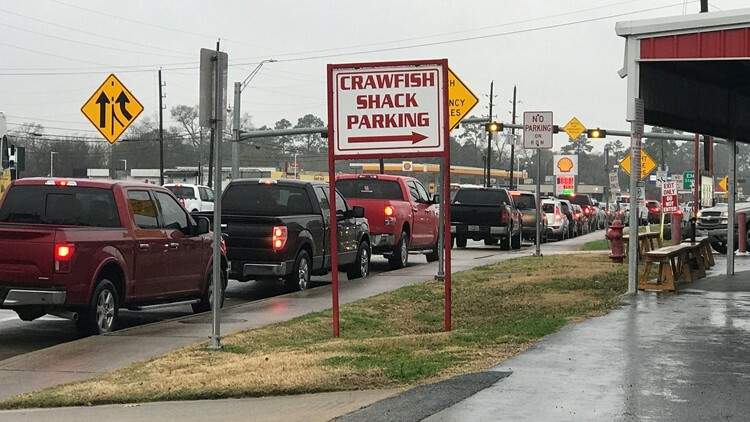 Whether you eat there or get your crawfish at the drive-thru, be ready for a wait. Cars started lining up at the Crosby location Wednesday morning even though they didn’t open till 3 p.m. Along with mudbugs, the Crawfish Shack offers Gulf shrimp, snow crab, crawfish etouffee, gumbo or sausage and red beans on the side. Houstonians don’t have to make a road trip to get their grub on at BB’s. They have locations in Montrose, The Heights, Upper Kirby and Briar Grove, along with Pearland and Katy. The café serves buckets of juicy Cajun-style crawfish in addition to 15 different po’boy varieties and salads. Oh, and did we mention it’s one of Beyonce’s favorite Houston restaurants? It's no wonder locals love this place on Richmond. With humble beginnings inside the 610 Loop in 1974, this restaurant opened because the owner was homesick for bayou country. Years later, the restaurant's legacy of comfortable, authentic cuisine in a friendly atmosphere lives on. Ragin’ Cajun serves up steaming buckets of spicy crawfish served with potatoes and corn on the cob. Don’t forget the NOLA beignets for dessert! If you check out this west side spot on Wilcrest, be sure and try their “88 Special” – a seasoning mix of lemon pepper and Cajun spices all drenched in garlic butter. Other menu favorites include the fried rice, fried calamari and snow crab legs. Get one boiled potato and corn on the cob with every 2-pound order. 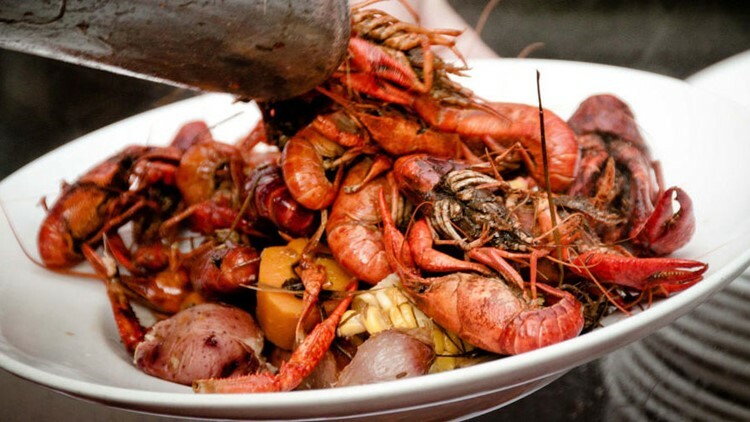 The name alone is reason to head to Kemah where their spicy bath boil promises a true Cajun culinary experience. 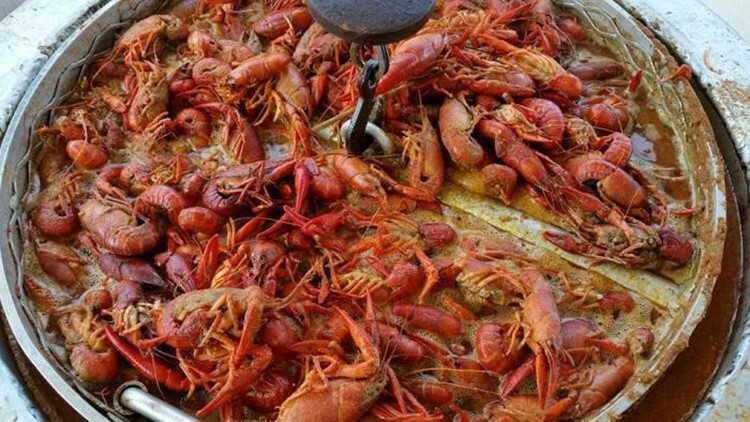 If anyone in your crowd isn’t brave enough to try crawfish, no worries. 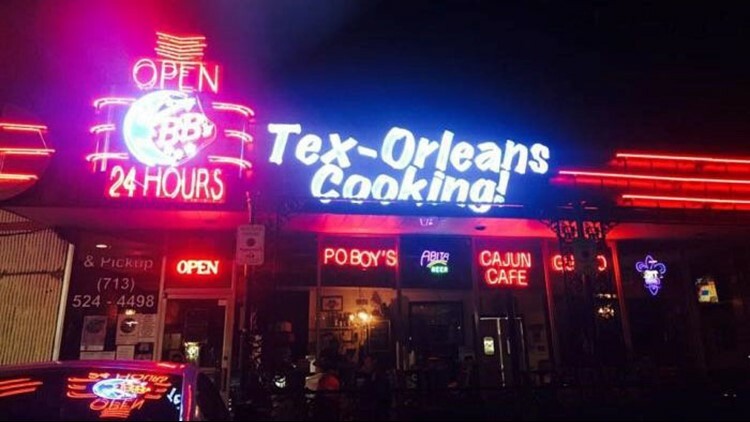 Their good ol' N'awlins seafood menu also includes alligator tacos, oysters, Andouille sausage jambalaya, catfish and lobster! This restaurant with locations all over Houston features Vietnamese-style crawfish and a delicious crawfish pho. LA Crawfish has been praised by believers for their cayenne and sweet garlic butter seasonings. Other inspired dishes include crawfish empanadas and cheesy crawfish rolls. After being featured on the Netflix documentary, Ugly Delicious, foodies are flocking to Chinatown to check out Crawfish and Noodles. Head chef, Trong Nguyen, was a 2018 semifinalist for the Best Chef Southwest at the James Beard Awards. He serves up some of the spiciest crawfish in town, Vietnamese style. We recommend calling ahead for a reservation. The restaurant is known to be crowded, but worth the wait! It's the exotic Thai seasonings that set this Bellaire restaurant's crawfish apart. First established in 2005, Cajun Kitchen has a focus on Viet-Cajun seafood that our locals love. Crawfish Cafe is another popular option for Cajun and Vietnamese style crawfish just outside of Chinatown. And VisitHouston readers chose Sam's Boat as the best bar serving crawfish. If mugbugs aren't your thing, they also offer seafood and Tex-Mex.